IT Operations manages the IT infrastructure and supporting services that are critical for HSBC employees and customers, such as cost-efficient hardware, system software, middleware and databases, data centres, voice and data networks, ATMs, desktops and other devices. It employs around 8,500 employees globally and comprises five functions: Client Services, Enterprise Services and Architecture, Data Centre and Service Management, Relationship Management, Project Management and PMO, and Risk and Administration. Collectively, these areas define and deliver HSBC’s technology strategy to support the Group’s goals. We are currently seeking an experienced individual to join this team in the role IT Engineer (Mobile iOS). For further details and application information please click “Apply” or visit our careers site, searching under reference 0000ATVQ. The most exciting digital revolution in HSBC’s history is happening right now - we’re creating a successful financial services business for the digital age. The digital solutions we create will influence the banking behaviour of approaching 40 million customers around the world. Such an exciting journey comes with a truly unique career opportunity - working alongside a growing team of experts from world-leading technology companies to embed digital into the heart of the bank. Our global footprint will give you exposure to different cultures and business challenges, expand your professional network and provide the opportunity to drive your career development. Your international experience will be unparalleled - working with a growing team of experts from every corner of the globe. As part of our digital community, we’ll support and offer many ways for you to achieve your personal and professional ambitions. We’re proud of all of the achievements we have made to date. Biometrics: We’re now the biggest financial services user of biometrics across the world. Forty percent of customer log ons are now done without a password. We Chat: We were the first foreign bank in China to integrate WeChat, and we’re the first bank in Hong Kong to offer WeChat in commercial banking. 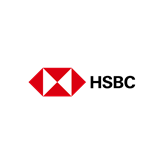 Blockchain: HSBC carried out the world’s first commercially viable trade finance transaction using blockchain, opening the door to mass adoption of the technology. Connected Money: The first among the major banks, we’re embracing the open banking era in the UK through the launch of our Connected Money app, enabling customers to see account information – including from other banks – all in one place. HSBC Mobile Banking app:Responding to customer feedback, we launched a new HSBC Mobile Banking app in the UK and Hong Kong with customer-centric design and functionality. The response has been hugely positive with a much-improved App Store rating and increased usage. At HSBC, diversity and inclusion mean strength. Diversity is in our roots. HSBC was founded more than 150 years ago to finance trade between Europe and Asia and we have always brought different people and cultures together. We believe diversity brings benefits for our customers, our business and our people and we’re on the lookout for leaders of the future who reflect our diverse customer base. As well as all of the employee benefits you would expect from an organisation of our scale, you’ll be part of an open, inclusive and flexible working environment that encourages you to always be at your best.